Does this new line of styling products by Advanced Hair Studio (AHS) solve your hair woes? Let’s find out. For many folks who have at some point or the other been concerned about their hair growth or loss, Advanced Hair Studio (AHS) won’t be a new brand at all. AHS after all is not only one of India’s leading names in the field of hair regrowth or restoration in India but also one of the largest in the world. They are endorsed by several celebrities such as Shane Warne, Saurav Ganguly and Gautam Gambhir to name a few. So when hair experts like AHS come up with a line of hair care and styling products, one’s bound to be curios. The all new range of Carl Howell styling products is unisex and price effective for the quantity and quality. The all black minimal packaging works well for the eyes and all the products come with a pleasant non-overbearing fragrance, baring the Hair Crème that smells a bit like cocoa butter. We visited their Gurgaon studio to understand the usability and it would be safe to say that we were far from disappointed. 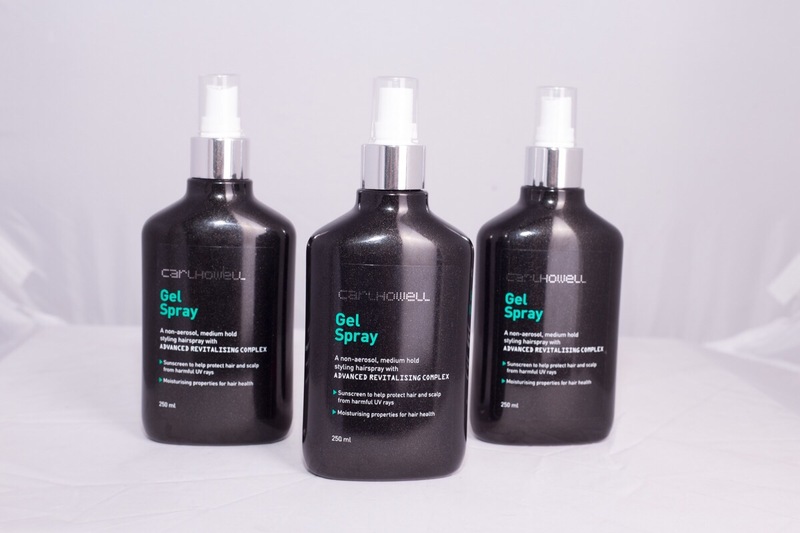 I’ll start with the product, which today is an essential have for both men and women – Gel Spray to help you fashion your hair and hold your style. The Gel Spray gives you a medium flexible hold, with no sign of heaviness and is aerosol free. I’ve used it a few times and unlike many hair sprays, it doesn’t wear your hair down after a day with heaviness and is absolutely non-sticky or dry. And yes, it comes with sunscreen and apparently, some moisturising properties too! This lightweight spray can be used for a minimal wet look (when sprayed on wet again and combed through), as well as a scuffed look (ruffle/scrunch up after spraying on dry or damp hair for desired texture), and of course as the humble finishing agent for your chosen style. This one would definitely be my favourite from the newly launched collection of 4. 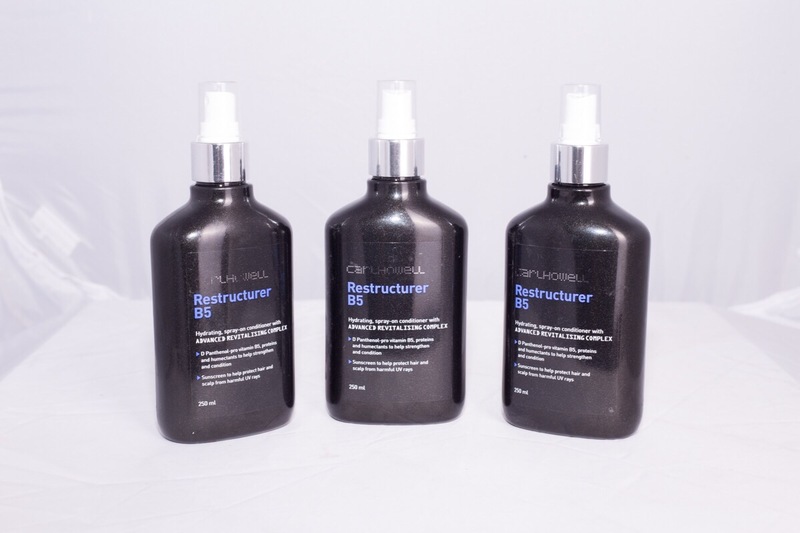 While on the topic of sprays, AHS recommends the Restructurer B5 to almost everyone, so much so that they call it protein for hair! This spray-on conditioner comes with sunscreen too and essentially works to settle the frizz, add shine, while strengthening and hydrating the hair. Should be ideally used after a round of shampooing and conditioning after a hair wash and before using styling products, but one can only use it as hair tonic once or twice a day to refresh the overworked strands. While being a moisturising agent the product didn’t work very well for my temperamental long hair, as it left my hair feeling a bit dry after the first day. 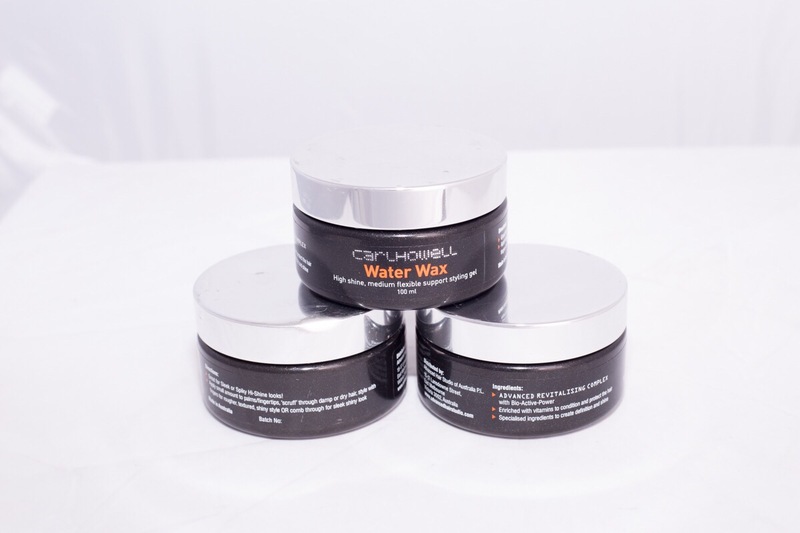 The third product in the range is pretty much arrived on time for summer as pool parties demand wet looks done well and that’s what the Water Wax promises. A high-shine, medium hold gel offers flexible support and keeps the sheen on for quite a few hours on the go. While the above the products would work well on any length of hair both for men and women, the fourth and the final product Shape & Control Crème is ideally suited for short hair and therefore better suited for men, or women with short-cropped hair largely. Watch the video above for my experiments with 2 looks using the Gel Spray and Water Wax as also to know more on the products. The range starting from Rs. 910, is only available at AHS centres so far, it’s advisable to call ahead and place your order. Apart from the product recommendations and it may be worth your while to go in for the hair analysis at the centre, if you’re worried about hair loss (beyond normal standards) or that receding hairline. PS: The folks at the Gurgaon studio and pleasant and friendly (which is something one would need given their stress with hair troubles) and they bring you decent coffee while you’re waiting. All in all, I’ll put my money on the Gel Spray and Water Wax.